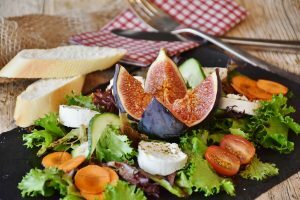 At home, we often prepare it while we are waiting for food to finish cooking and we are so hungry that we need that little snack to help us arrive till the lunch time. 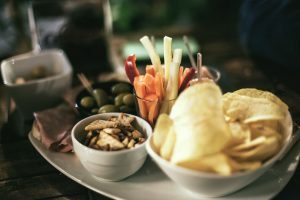 In Croatia, where I’m from we would socialize around coffee, but in Italy its done over aperitivo – alcoholic drink with yummy nibbles on the side. 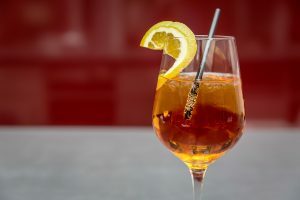 If you like prosecco and Aperol (or Campari) then you will like the spritz. In case if you like more bitter mix you can substitute Aperol with Campari. By doing it you will get a rich red color drink on the bitter note. 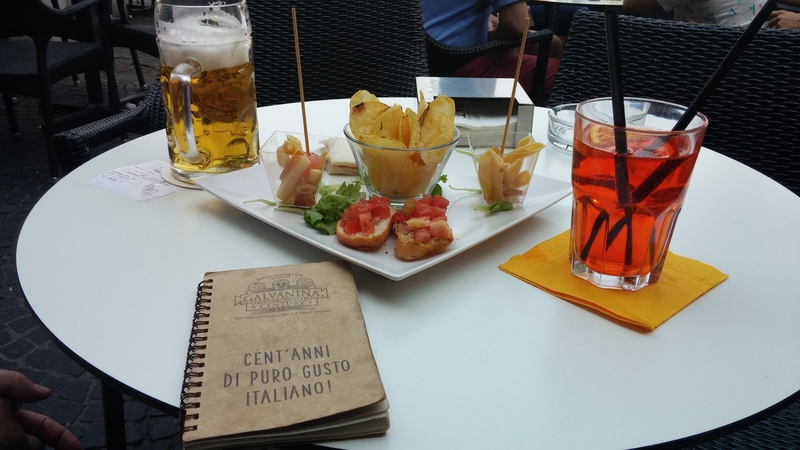 Let’s talk about the making Aperitivo nibbles now…. Imagine lazy Sunday brunch you might host at your home…. here in Italy we prepare something very similar. You want to create plates with easy to eat, no fuss finger food. One of my favorites is bruschetta, just plain bread, slightly toasted, rubbed with a fresh garlic clove and topped with chopped veggies and on top of all drizzled with extra virgin olive oil. Even thinking about it makes me crave it. The great thing is that bruschettas have so many variations, I check it what I have in the fridge and then just combine it. 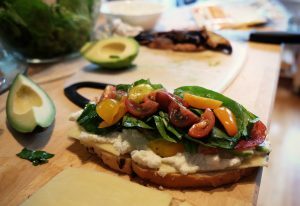 You can prepare my favorite tomatoes bruschetta or you can invent your own. Perfect snack we prepare are pizza cut in bite-size triangles, various wraps cut in small slices or cheese plates with fruit. Important is that you can eat it without a fork, using perhaps only toothpicks. 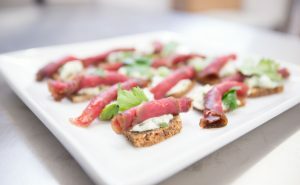 In case you like dry meat you can always prepare prosciutto wrapped melon or rolled bresaola on bread. I also like mortadella on plain bread with a tiny bit of mayo. You can also try a super thin slice of lard with dry oregano on top of it. 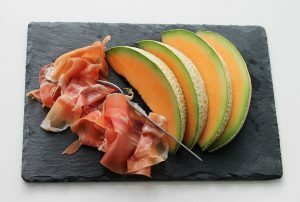 Do you like the combination of juicy sweet melon with salty prosciutto? I just love it. 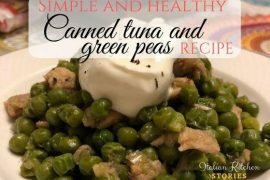 Don’t forget to add black and green olives, mozzarella, cherry tomatoes, potatoes chips or whatever crispy snack you might have at home for the extra crunch. Do you feel ready to prepare one aperitivo at home or can I help you with setting one?